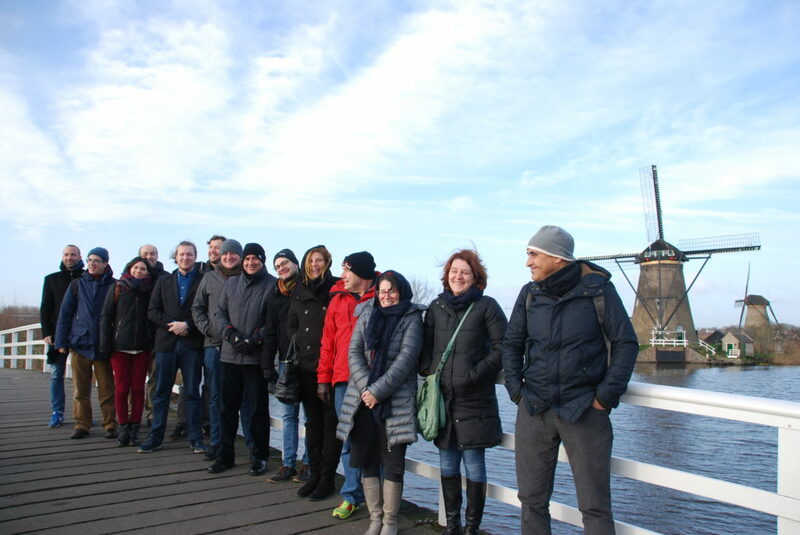 The EU-funded HiSea project – High Resolution Copernicus-Based Information Services at Sea for Ports and Aquaculture – held its kick-off meeting in Scheveningen, The Netherlands, on January 8-9, 2019, to confer among all partners and begin work. 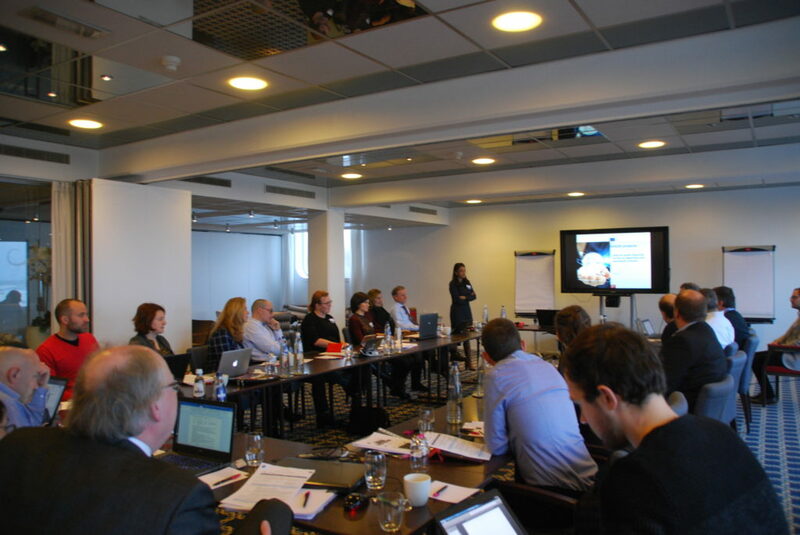 Partners focused equally on the work plan itself – logistics of work packages, data management and communication among partners and with the EU – and on already starting to get a deeper understanding of the needs of the project’s intended end-users in the port and aquaculture sectors. EU Research Executive Agency representative Kristiina Urpalainen-Menon outlined the expectations of the EU as funders of such a program through the Horizon 2020 framework, and ultimately as representatives of the European tax-payer. She detailed this in terms of innovation, creation of a viable product addressing needs of end-users in the public and corporate sectors, and development into a sustainable project providing product or services to end-users who purchase them to address their needs. Urpalainen-Menon noted that such programs now benefit from both technical and entrepreneurial expert review and feedback in the context of EU funding. Asked to address the HiSea project as a potential end-user, Eleni Geropanagioti of Selonda Aquaculture said that “water quality monitoring is of paramount importance, as it directly affects fish health, robustness, growth rates and feed conversion ratios,” and that disease and mortality rates are also related to water quality, though often in ways that are difficult to pinpoint. “Different factors at various stages, even the earliest stages, can impact the growth of the fish later on,” Geropanagioti added. Cages must also be moved sometimes, depending on water quality conditions. Current data management systems monitor vital parameters including oxygen levels and temperatures, mortalities and counts as well as feeding data, and the information is used to adjust feeding and govern other management aspects. HiSea will interpret this data and vastly improve fisheries management by providing data services such as forecasts of optimum or problematic conditions as well as and alerts in real time as actions are required. Fundación Valenciaport R&D project manager Rafael Company-Peris indicated that the primary environmental problems the ports face are seasonal algae blooms and hydrocarbon spills. The three ports of the Valencia region monitor various water quality parameters – primarily water temperature, chlorophyll, oxygen, hydrocarbon pollution, salinity and turbidity. The collected information is reported to the regional government every six months to demonstrate compliance of port terminals and facilities with legislation and combat pollution. HiSea will offer significant benefit to ports by providing early detection of possible pollution episodes, as well as up to date, high-resolution information on factors that influence the handling and clean-up of pollution episodes. Company-Peris also discussed the establishment of a HiSea stakeholder advisory board (SAB) to give ongoing inputs and feedback from the end-user’s points of view. Ascora representative and software developer Danny Pape gave a presentation on the data-management and process of making back-end improvements as part of the Service Implementation aspect of the HiSea project. HIDROMOD general manager Adelio Silva presented the HiSea project’s Service Design component and stressed the importance of a detailed data storage plan and of HiSea planning the interaction between data storage, the services provided, and the users’ involvement, both during the funded project phase and thereafter.